Okay, so I know that is has been a while since I have written. I will be able to explain soon, but for now, let’s just say I have been pretty busy on a big project. 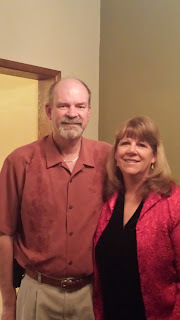 Last weekend was Valentine’s Day, and like most of you, that involves flowers, chocolate, cards and a nice dinner. I find that most restaurants book up well in advance, and it is usually very crowded. This year, our group of friends decided we could do a very nice, gourmet dinner that hit all the key points of decadence, aphrodisiacs and fine wine. What follows is a 4-course meal and the wines I chose to pair with those courses. 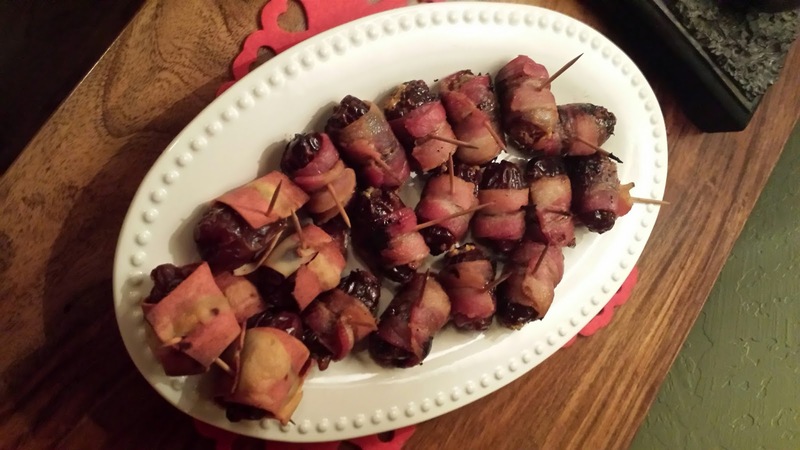 Our first course was an appetizer course of stuffed dates, wrapped in bacon. My “go to” for bacon is sparkling wine. I like how the bubbles cut the fat and grease, cleansing the palate. The dates add sweetness to the bacon, but I didn’t want to start our meal with a sweet wine. Instead, I went with a Blanc de Noir (made from more fruit forward red grapes). The wine of choice was from Schramsberg, in Napa Valley. Our second course was also an appetizer. 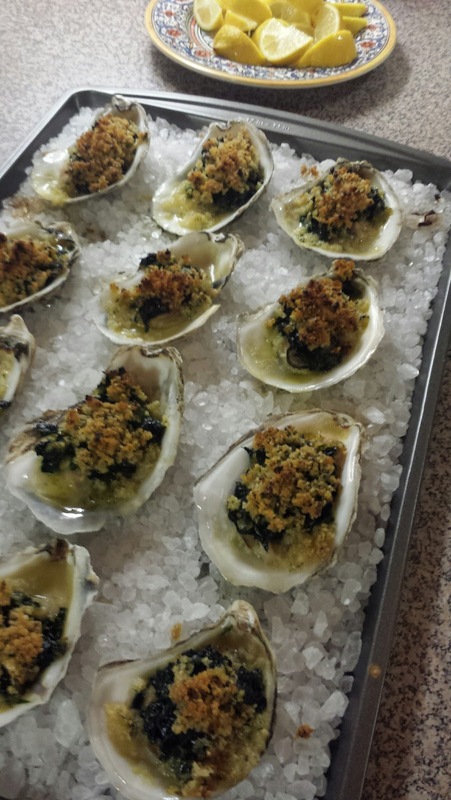 We had oysters two ways: on the half shell and Oysters Rockefeller. 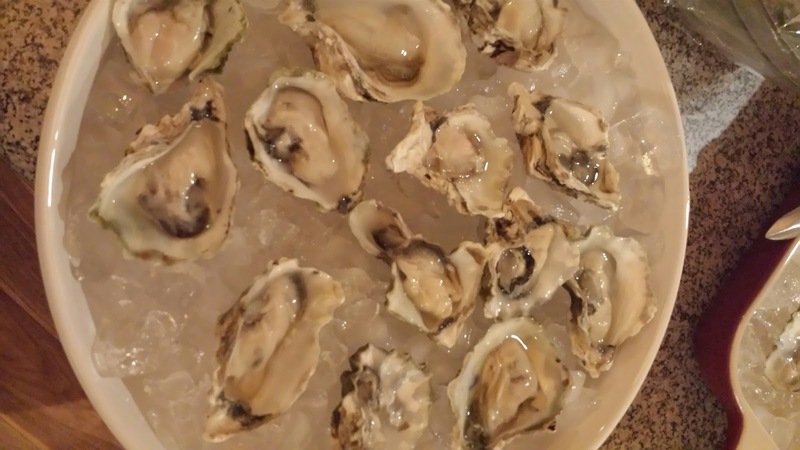 Oysters are basically just little salt water exchangers, with a minerally taste to them. There are a number of classic pairings for oysters, but my "go to" is from the Loire region of France. In the coastal region of Nantes, the wines produced from the Muscadet grape mirror the brine and mineral of the oysters, but add the sharp acidity that is similar to a squeeze of lemon. The wine for this pairing was Chateau du Jaunay Muscadet Sevre et Maine. 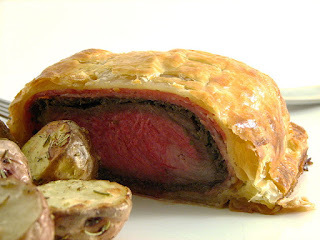 Our main course was a traditional Beef Wellington. This classic English dish involves coating a tenderloin with pâté and finely chopped mushrooms, then wrapping everything in puff pastry. Since the English were (are) such big fans of French Bordeaux, the classic pairing would be a right bank Bordeaux (St. Emilion or Pomerol). These wines are mostly Merlot based. But, to complicate things, our side dishes consisted of roasted asparagus with garlic and Parmesan, as well as roasted garlic potatoes. First, asparagus makes wine taste sweeter, and garlic clashes with heavily oaked wines (think of how well garlic goes with vanilla or coconut – some of the notes that oak adds). For the wine choices, I did stick with a traditional pairing, with a bottle of 2005 Chateau Fonroque St. Emilion Grand Cru. I also had a bottle of 2012 DomaineSerene Pinot Noir Evenstad Reserve. I find that the Oregon wines are not as fruit forward as some of the California Pinot Noirs, and not as earthy as the French Burgundies. Of the two wines, I felt the Domaine Serene was the better pairing. Our hosts also opened a bottle of Calcareous Pinot Noir…heck two bottles with the main course just isn’t enough for eight people! For our final course, we ended the evening with a Chocolate Ganache Cake. 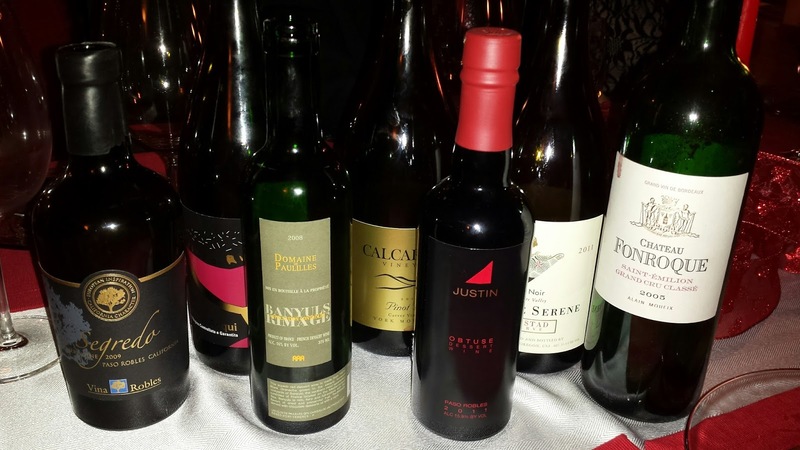 With sweet desserts, you always want your wine to be sweeter than the dessert. Despite popular belief, chocolate and wine are not natural pairings, but there are some that work well. If you are using milk chocolate, there is only one wine that I find works, and that is Brachetto d’Aqui from Italy. This is a semi-sparkling wine, with aromas of raspberries… a magical pairing with sweeter chocolate. In this case, I did not know if the cake was made sweet, or used bitter sweet chocolate, so I hedged my bets. I brought a bottle of Rinaldi Brachetto d’Aqui, along with a bottle Domaine de Paulilles Banyuls Rimage. This wine from the southern part of France, has aromas of cherries, raspberries and chocolate. It is a fortified wine, similar to Port, but with a bit lower alcohol level. As it turned out, the cake was made using a bittersweet chocolate, so the Banyuls was the best pairing. The night progressed, and our hosts opened up a few more bottles of dessert wines that they had acquired on recent trips to Paso Robles. 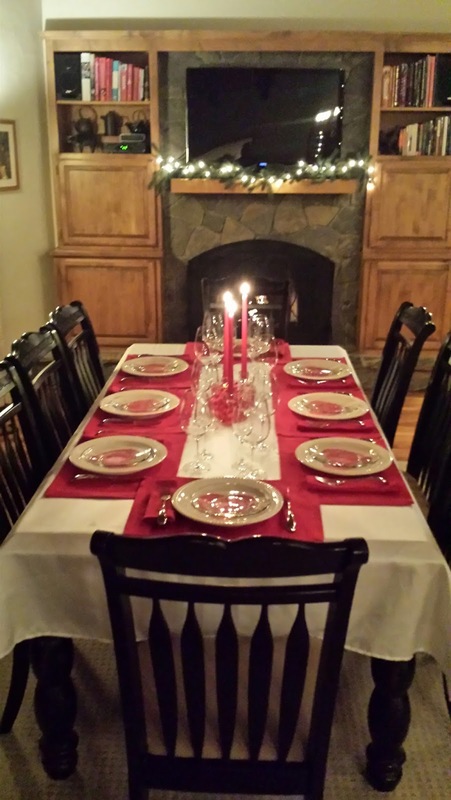 As always, I hope these pairings will inspire you to try creating a fun meal on your own. You don’t need to wait for Valentine’s Day to entertain friends. Take these ideas, mix and match, and have fun!